Elizabethan craftsmen developed advanced manufacturing technology that could match that of the 21st century, claim researchers from Birmingham City University who are analysing a 400-year-old hoard of jewellery. The team from Birmingham City University have analysed the craftwork behind the famous Cheapside Hoard - the world's largest collection of Elizabethan and Jacobean jewellery discovered in a London cellar in 1912. Among the historic find – which is being showcased by the Museum of London – is a Ferlite watch that dates back to the 1600s and is so technologically advanced it has been described as the "iPod of its day". Dr Ann-Marie Carey, a research fellow at Birmingham City University, and her colleagues have used modern technology to discover how these beautiful items were created - and have been stunned at the advanced technologies that have been applied to construct the items. "Our forensic analysis has revealed the amazing technologies which craftsman of this period were using - and we fear some of these 400-year-old processes may now be lost to us," said Dr Carey. "It is has been a fascinating investigation. We think of our own time as one of impressive technological advances but we must look at the Elizabethan and Jacobean age as being just as advanced in some ways." Selected items of the Hoard are set to be revealed to the world at a major exhibition at the Museum of London this autumn (October 11, 2013, to April 27, 2014). The Museum of London selected the Birmingham City University team because of its world-recognised expertise in this type of highly specialist research. The University experts combined their own background in craft with CAD-technology to investigate the Hoard in an attempt to discover what kind of manufacturing methods could have been used to create the jewellery, which includes brooches, pendants and delicate gemstone rings. Dr Carey said: "When we received photographs of the Hoard we were fascinated with the level of detail in the jewellery. "We wanted to know how such pieces were made and to understand the story behind them. Until now there had been little research into the craftsmanship involved so we feel we are making a unique contribution to the forthcoming exhibition." Dr Carey, with the help of senior technologist Keith Adcock, have used 21st century digital technologies to recreate pieces from the Hoard, including a 'Pearl Dropper' an egg-shaped item that originally featured ribbons of pearls and was possible worn on as a hairpiece. 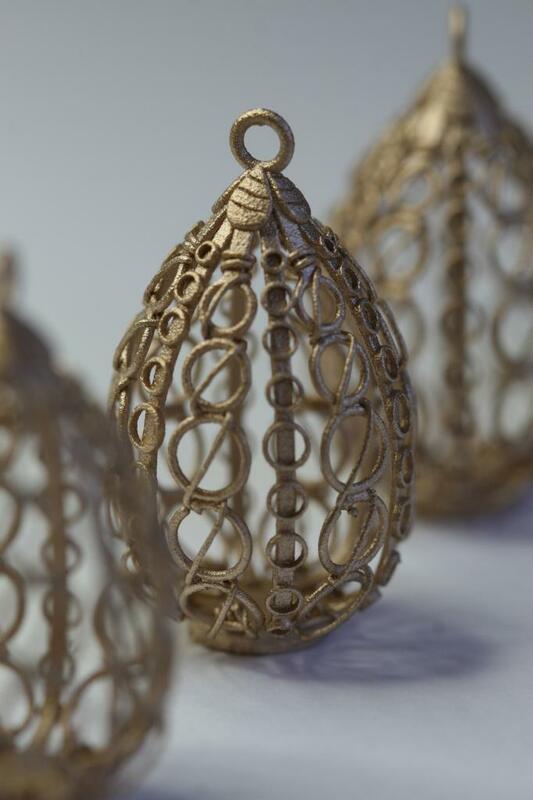 The Birmingham City University team has created a bronze version of this item which will be used as part of the exhibition, as well as 'augmented reality' displays of the jewellery items. "This will create tangible items which will ideal for visually-impaired visitors who will be handle items directly," added Dr Carey.